This eye-catching axe is built to the Genesis touring guitarist’s specs. 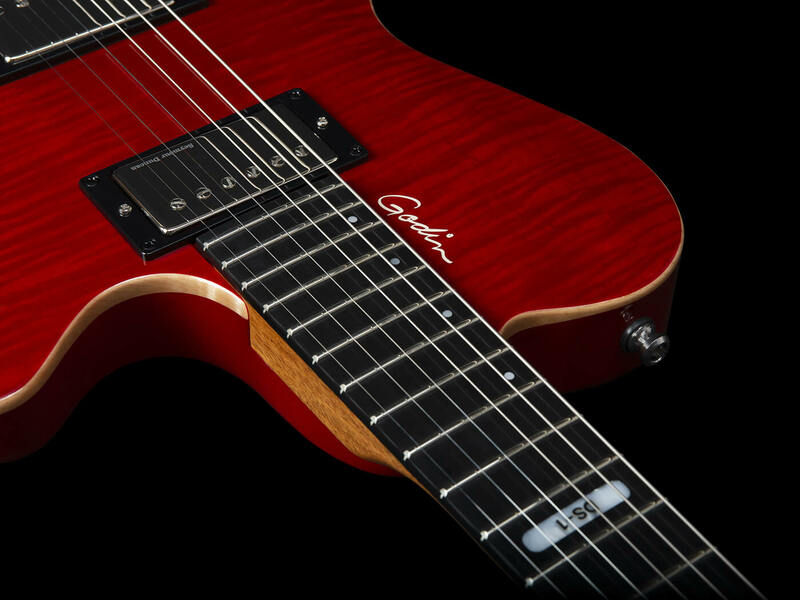 Fresh from teasing its first-ever acoustic line, Godin Guitars has announced the Daryl Stuermer DS-1 signature guitar. Designed according to the Genesis touring axeman’s preferred specs, this versatile instrument has got a variety of rock tones locked down. The guitar strikes a bold pose with a beautiful AA flame top that’s coated in an arresting high-gloss Trans Red finish. It also features a Canadian Laurentian basswood body, a Richlite fingerboard and a 25.5-inch scale length. In the tone department, the DS-1 is loaded with two humbuckers: a Seymour Duncan Jazz SH-2 at the neck and a Seymour Duncan Custom/Custom SH-11P at the bridge. Rounding out the instrument’s features are a Godin Tru Loc Tremolo system and a Godin High Definition Revoicer. The latter is a discreet button that enables you to easily change the pickups’ EQ curve.